**NO Coordinating Chassis Available. View pictures below! 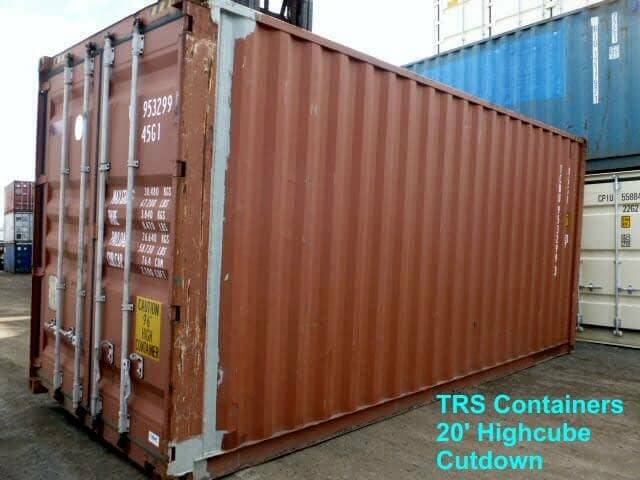 TRS offers used 20ft L X 9’6’ H used containers all year round. 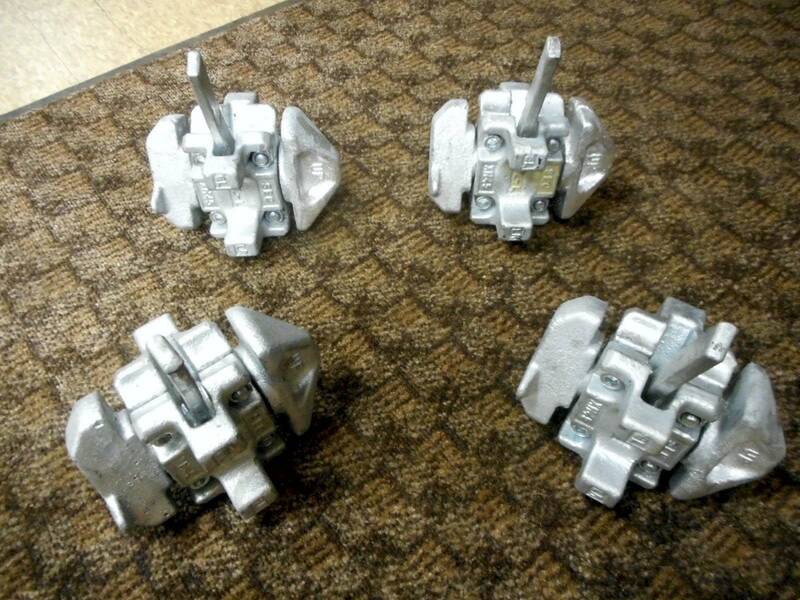 We fabricate them so we can satisfy generator, power and seasonal storage businesses. 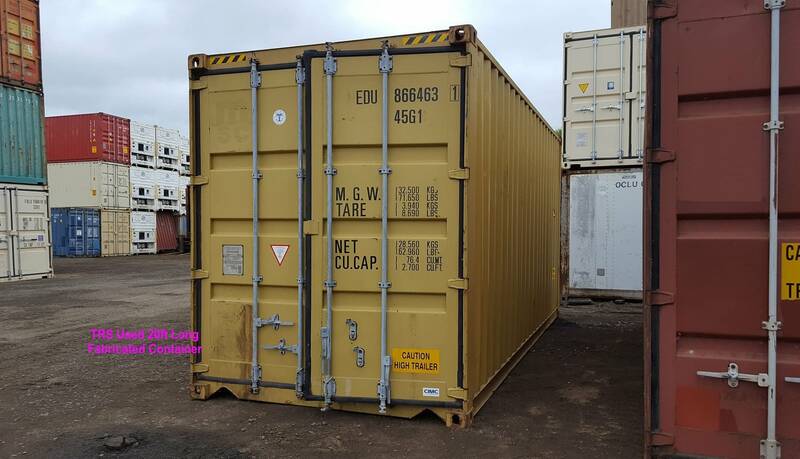 Dry freight, reefers, opentops, office containers, diesel generators, flatracks, opensides, highcubes, insulateds, and chassis. Additional types available for special lease arrangements so please ask. Fast delivery in cases of Natural disasters, technological incidents or terrorism. 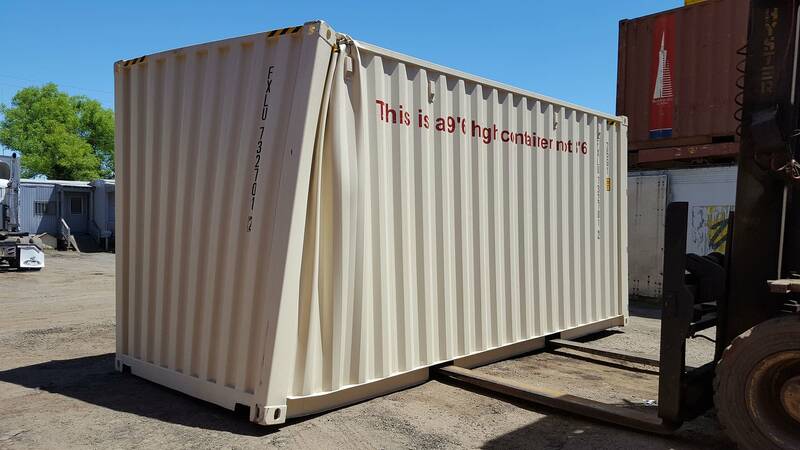 TRS can reposition the container if you need it relocated. 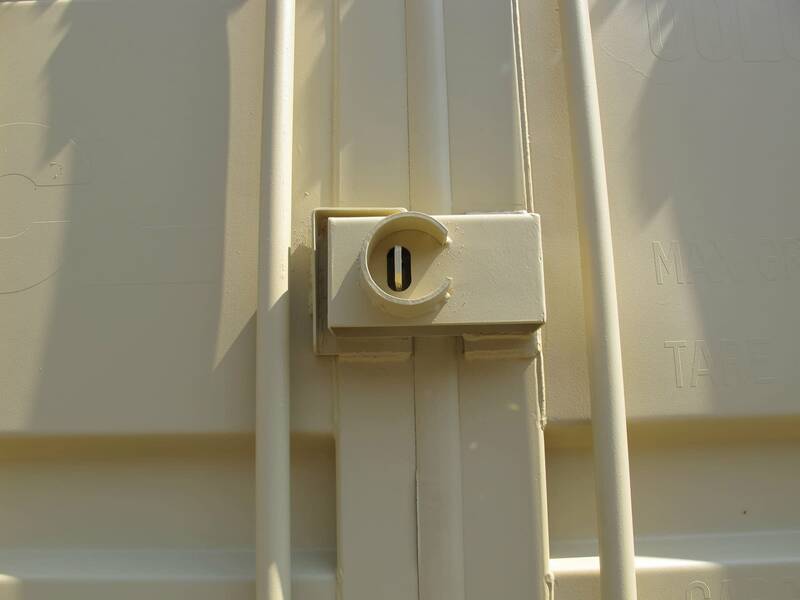 We offer options that add security to the container or office on a jobsite. Willing to negotiate Custom Modifications for long term agreements. 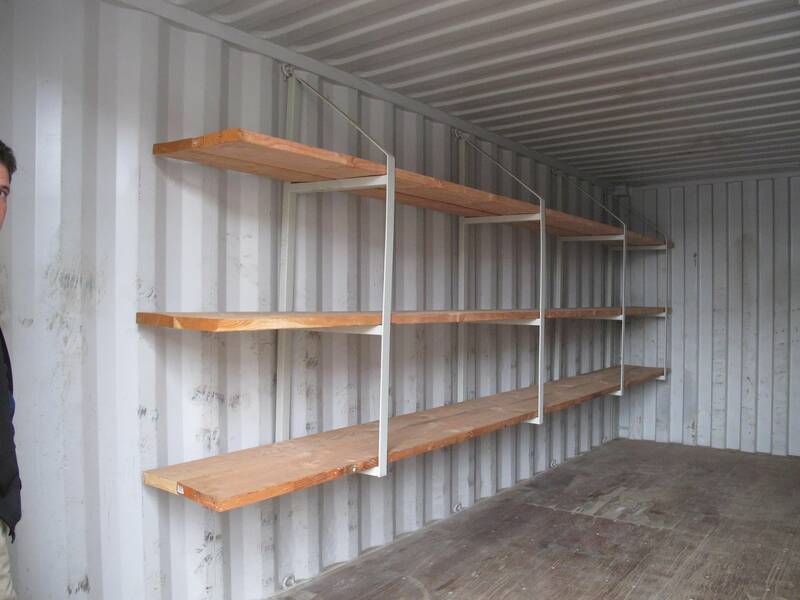 See our storage solutions and request a quote. Additional height allows for extra storage space. Highcubes allow for badly needed height to house industrial systems. Occasionally available in new, but costly so TRS fabricates used unit. Receive assets with minimal initial expenditures. The modified highcube is sound and has all the original parts for lifting and security. There is no coordinating chassis for transport. Only a step deck trailer will do. TRS can install functional fork pockets for empty lifting. 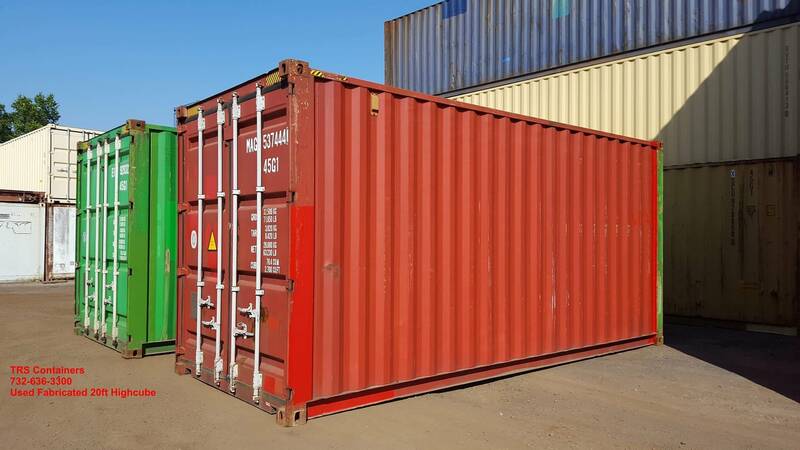 9’6″ height allows for more storage space and taller machinery. Equipment is inspected and documented outbound and inbound. Lessee responsible for Repair and missing items ie: hvac unit. Rate is based on the term of the agreement. Longer the term, rate goes down. Rental Option for used equipment only. Renting will prevent a large outlay of capitol. Short and long term rental options. Signed lease agreement stating Lessee responsibilities is required. Traditionally fast delivery and pickup times. We rent coordinating chassis of dock height is needed. Will customize a lease for long term commitments. Security Lockboxes, locking bars and hockey puck locks. Parts to ensure secure storage at unmanned construction sites.